About the Product – Colossal Liner is another feather in Colossal Family. The product is quite innovative with the fact that its pen liner. Packaging – It is a black color pen (it looks like a pen from a distance to guys, for girls we all have eye to recognize products meant for us, haha) with tight to open cap with yellow font inscribed on it. 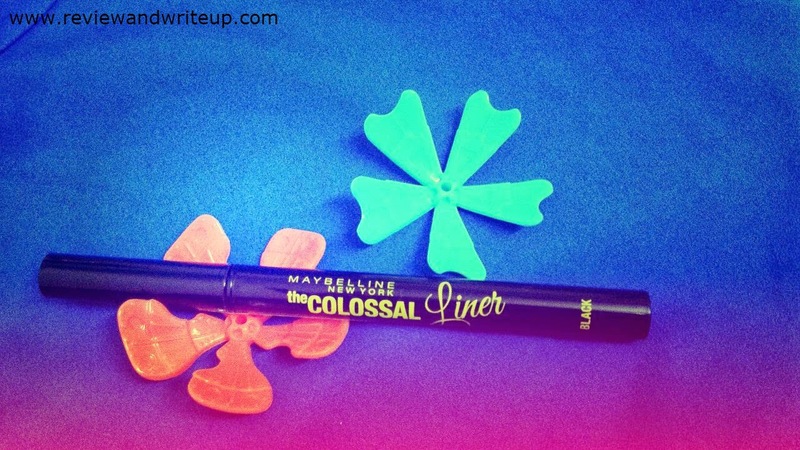 Claims of Brand – Maybelline claims for intense and precise application of liner. Brand ensures for quick and flawless application, 0.4mm flexi tip, 12 hour staying power & smudge free, intense color. My experience – I have used pen liners before but all those were from local brands. I have to say that colossal liner defines black color like anything. Even a thin line of colossal liner makes your eyes look beautiful. It won’t flake even if you wear it for whole day. It’s as easy to use as like writing with a pen (that’s why I call it pen liner, ha ha). Very comfortable to hold and in one stroke you will get defined liner on your eye lids. It’s like though it appears to be sharp is indeed very soft to skin of eyes. What my worry was with pen liner, what if it leaks. Thanks to Maybelline, it doesn’t. You can easily carry around in bag. Let me share one incidence with you. I applied liner and was working on my laptop. After some time by mistake my hand brushed on my eye lid what I saw that liner came off so easily. This happened like an hour later after I applied liner and I was sitting under fan with no sweat. I will say it didn’t dried at all, you know how kajal can smudge if you brush off your eyes, yes exactly like that. 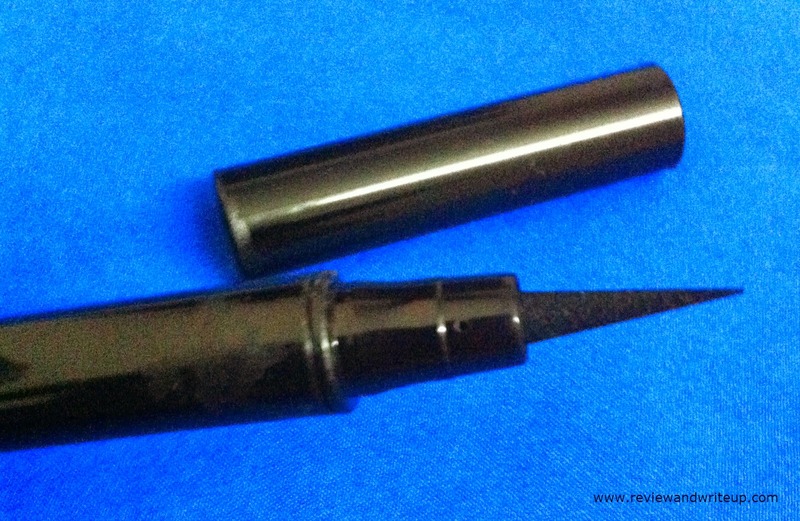 This liner is now like a liquid kajal for me. I can’t vote for it to be smudge free. Waterproof, no no. However brand hasn’t even claimed of it being waterproof. A lot of my friends have used it and say that its smudge free. I checked with them because I couldn’t believe myself that liner got smudged so easily. My friend’s opinion is that it doesn’t smudge and stays for long. But this was my experience. I checked, rechecked again to make sure what I saw was correct or not, but sorry to say that this product disappointed me. R&W Recommendation – I will say double check your piece before buying it and make sure that it dries easily. Mine just felt like liquid Kajal. I am curious to know about your experience with this product.